In our Guest Post from Social Selling and ecommerce expert Victoria Greene, she looks at how ecommerce Businesses can tap into social selling and curation to engage buyers and grow their business. Running a successful ecommerce business isn’t just about having the best products; it’s also about creating the most engaging story around your brand and the goods you sell. 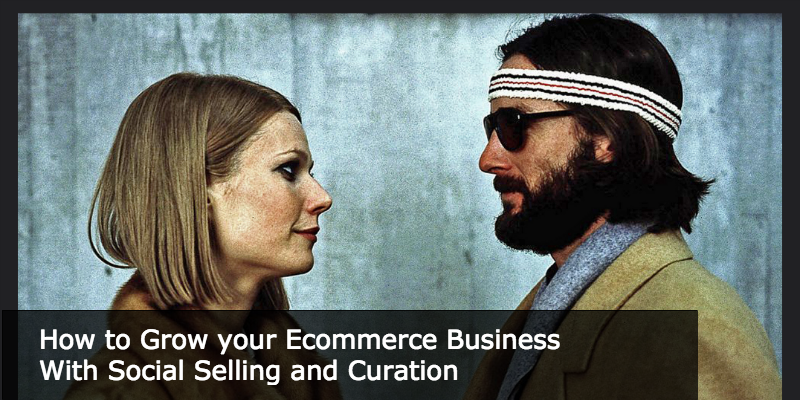 And what better way to do that than by making the most of social selling and curation? Both of these invaluable tools are at the heart of creating an excellent online community, and that’s what you want your customers (and potential customers) to see: a community. So, if you want to get your customers into the community spirit and buying into your ecommerce business for the long-term, read on to see how you can leverage social selling and curation. There are numerous digital channels available to you for social selling, including LinkedIn, Twitter, Facebook, Pinterest, and Instagram, and in an ideal world you’d dominate every single one of them, and every other relevant channel you could find. In reality, though, while it isn’t terrible to spread your efforts across various platforms, you’ll get a much higher ROI for your core ecommerce business by focusing your efforts on a select couple, or even just putting everything you have into one social channel. This is because social selling can be extremely time-consuming, demanding both a great deal of content creation and a high level of engagement to truly deliver on its potential. You need to make sure that an approach is working if you’re going to scale it up. Your audience habits are your true north, so always go off what your customer analytics and data are showing you. Don’t rush off and invest in a new platform until you can be assured of its credentials and user base. And avoid anywhere with high levels of fraud or spam. If Monty Python had written the book on content curation and social selling, this is what God would have sent Arthur on the hunt for. That’s right; user-generated content is the ultimate holy grail for your business. It’s not just because getting your users (your customers and your followers) to do the leg work for you saves you from employing staff to do it; it’s also because users can be your very own micro influencers. Your users have this power by virtue of their personal followers. Most people are much more likely to engage with (and share content from) people they already know, than any given ecommerce retailer. Spend time engaging with them — care about your community. It’s not just about what you can get from them — but about what you can provide. Make sharing your products and mission with the world something that people are likely to get excited about. The use of visual media is huge in the ecommerce world. Why? Because the decisions we make about what to buy are heavily affected by what we see, and the most successful ecommerce retailers take great advantage of this through linking all of their sales opportunities to high-quality images. On social media, followers will enjoy a barrage of gorgeous visuals — even if they are heavy with product placement. As long as the image is well-captioned and aligned with all the other native content, it’s likely to do well. After all, people like to celebrate beautiful things. Visual storytelling might sound like a daunting prospect, but even small ‘mom and pop’ stores and British entrepreneurs are making the most of savvy visual content. 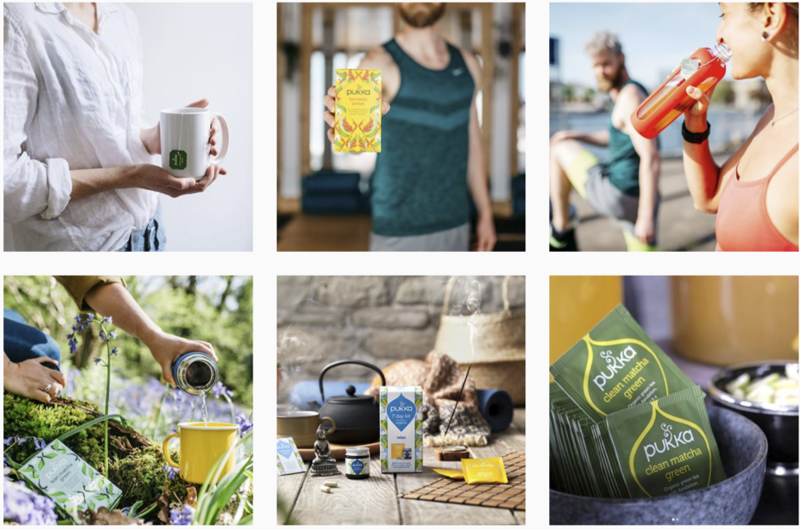 It’s amazing how versatile a product like tea can become when it comes to finding settings, scenarios and themes for social media. Shopify’s build-your-own online store method is particularly good for this kind of visual storytelling because it natively supports pulling visual content from your store into product links in social channels (most notably Facebook and Messenger) and makes it easy to keep track of how everything is performing (sales, engagements etc) from one dashboard. The benefit of this is that it allows you to really measure the ROI of the time that you’re spending on your visuals, meaning that you can drop images that aren’t pushing conversions and ramp up the volume on visual styles that are driving sales. Having the right sales environment and technical setup will ensure that your social strategy goes the distance and keeps on driving business results for your brand. But even savvy visual selling won’t cover the amount of content you need to keep up with demand and show that you’re an online force to be reckoned with. This is where content curation becomes so valuable. Your social media doesn’t need to be limited to your own products and visual designs— you can draw from other companies and users in your industry and elsewhere to provide a stream of content that reflects your desired aesthetic. If you see a great infographic or inspiring photo, you can retweet it. In this way, you can teach users that following you won’t simply net them a lot of your promotional images, but will also yield a selection of cherry-picked items from elsewhere in the social media world. Since there’s a vast river of content flowing through the top social media channels at all times, people welcome any and all opportunities to cut down on the scrolling and get some idea of what’s out there without having to search for it themselves. Leveraging social selling and content curation by picking from existing visuals and products and turning followers into influencers is great, but remember that it’s all in service of a higher goal: becoming an authority in your industry. If you can become a thought leader, you’ll find that it will significantly raise the earning potential of your business. Why is this? Well, if you’re considered an expert in an area, you’ll attract media features, press coverage, and PR interest, eventually making your brand one of the default consultation options whenever someone needs insight and commentary on your niche. Know all there is to know about a specific topic – perhaps you become the authority on Wes Anderson films (but maybe make your aspiration a little more realistic!). Demonstrate an expert understanding of the concepts that matter the most to your audience. Curate and share recent and relevant content that will engage your niche audience. If you help them discover great content, you get a lot of the credit. Here’s a method that even the biggest brands know is a winner. You may not have thought about creating subscription boxes, but it’s actually a fantastic way for your business to curate products and offer some value to your customers. Curating your own unique boxes creates a consistent customer experience, as your users will know they’ll be receiving a goody box from your business once a month. This also means that you can guarantee their engagement on a regular basis, something that you can leverage by creating a community element behind your curated products. You could do this by adding a hashtag to the subscription boxes and asking your users to hit their social platforms with it. If you’re smart about how you do this, then your curated products can become a source of pride for your customers and a valuable weapon in your social selling armoury. It’s also a good idea to make the most of plugins (like the Anders Pink WordPress plugin) and APIs to help you embed curated content directly into your site. What better way to show off your customer community and niche expertise? If you want to take your ecommerce business as far as it can possibly go, you’ll need to make use of every tool available to you. By leveraging social selling and curation, you can spread your message more widely and easily, and use the resulting engagement to let your community make the hard sales for you. 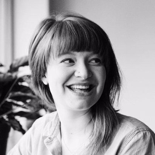 Victoria Greene is a branding consultant and freelance writer. On her blog, VictoriaEcommerce, she shares tips on how ecommerce businesses can use content as a sales tool, along with offering guidance on how brands can make the most of social media.